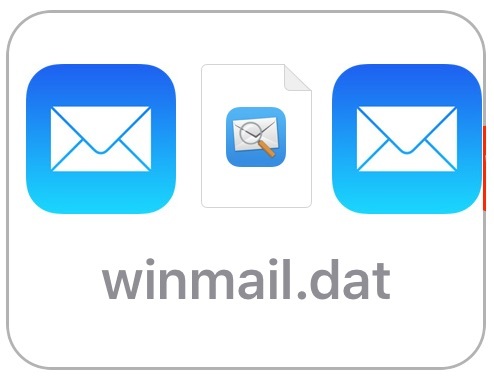 iPhone and iPad owners who regularly receive emails from Windows-based users may find ‘winmail.dat’ files attached to the email messages, a file type which Mail.app can struggle to identify or open. 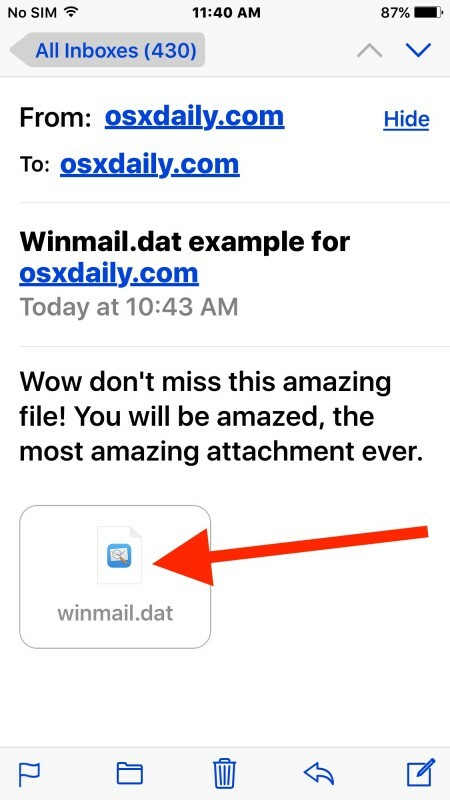 Since winmail.dat files can be anything from a simple styled rich text email, to a calendar invite, vcf contact card, or even a legitimate email attachment, it can sometimes be necessary to open and read the winmail.dat file in iOS, which is what we’re going to show you how to do. 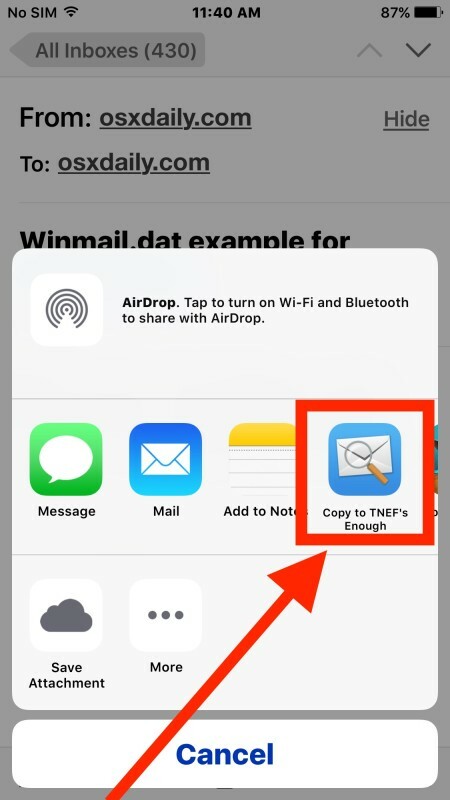 TNEF’s Enough will open, read, and allow access to any data contained within a winmail.dat attachment file that has been encountered in the iOS Mail app, the process is the same on any iPhone, iPad, or iPod touch. Vcards and calendar files can be accessed and imported just like they would be able to if encountered elsewhere in iOS. If you don’t want to install the app onto your iPhone or iPad, you can use Handoff to move the open message to a Mac with the TNEF utility installed instead, or use the various tips here to open and read winmail.dat files received in Mac OS X. 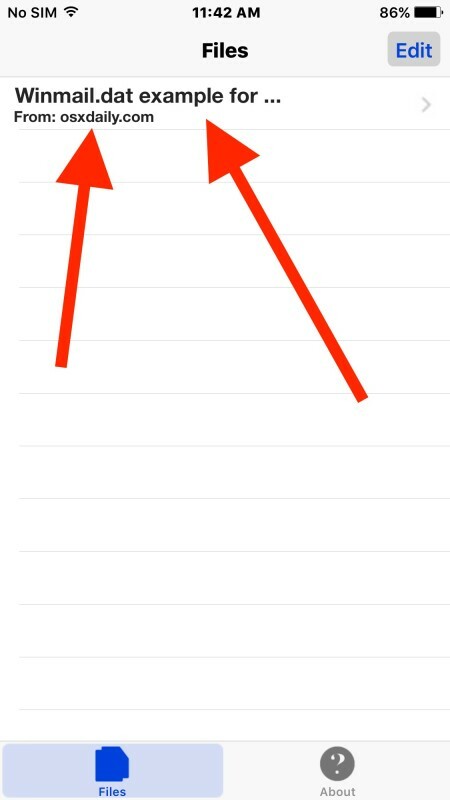 Know of another easy method of opening or reading winmail.dat attachments and containing files in iOS? Let us know in the comments! Why would anyone want to open Winmail.dat attachment files? Winmail.dat files often contain calendar invites, office files, contact cards, and other information from a Windows user. The Mac and iOS Mail clients do not render them properly so they often show up as winmail.dat, depending on how the sender in the Microsoft world attached the files initially. Superb. I’ve been using this on Mac and hadn’t thought to check for an iOS version. Why use it? I get lots of email from Outlook users where the attachments proper (PDF, XLS) get wrapped into a winmail.dat file. These can only be viewed on Mac or iOS after using an app like TNEF’s Enough.